MP High Court Recruitment 2015: Madhya Pradesh High Court, Gwalior is going to fill the 96 vacancies in the Civil Judge Post. So the MPHC published the official notification about the recruitment of Class II entry level Civil Judge posts. MPHC invites the eligible candidates to apply for this recruitment drive before the closing date of the application form submission (20th Dec 2015). There are only less number of the vacancies are a available in this MPHC recruitment 2015. But there are huge number of candidates are applying for the Class II entry level Civil Judge posts. Candidates needs to work hard to clear this competitive examination. If you work hard means, you will get job in this MP High Court Recruitment 2015. 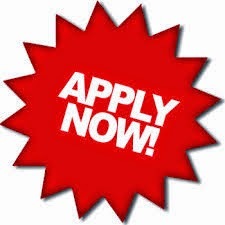 You can get all the required information regarding this MPHC 2015 Recruitment from our indiagrade.com web portal such as age limit, educational qualification, eligibility criteria etc.., We advised you to read the Madhya Pradesh High Court notification 2015 before applying. The direct link is available below for your convenience. Age Limit: 21 - 35 Years as on 1st Jan 2016. Educational Qualification: Applicants should possess a degree in law from recognized university. Open the official web portal of the Madhya Pradesh High Court (www.mponline.gov.in) to start the registration process. Then search and find the appropriate link to open the online application form page. Then you need to provide all the necessary information without any mistakes. You should have scanned images of photo and sign as per the prescribed format. Then submit the application after the verification process.